PARIS — Free agent Gianluigi Buffon signed for Paris Saint-Germain on Friday. "It is with a great feeling of happiness that I join Paris Saint-Germain," Buffon said. "For the first time in my career, I am leaving my country and only a project this ambitious could have encouraged me to make such a decision." Buffon left Parma in 2001 and made 656 appearances for Juve. He won his ninth Serie A title this season, leading the Bianconeri to a fourth successive league and cup double. One of the few trophies missing from his glittering collection, which includes the 2006 World Cup, is the Champions League. He lost three finals in that competition with Juve. PSG was eliminated from the Champions League at the round of 16 stage this season, having reached the quarterfinals the previous four years. "I want to thank the club and the president for their confidence," Buffon said. "To have followed the club's incredible progression in recent years, I know what dreams Paris Saint-Germain and its fans have in their hearts. "I am going to bring all my energy, all my experience and all of my thirst to win to help my new club achieve all the great objectives it has set out for the future." 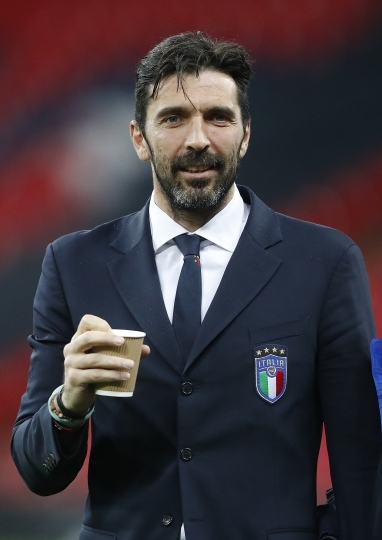 Buffon, former captain of Juve and Italy, retired from the international stage in November after the Azzurri lost a World Cup playoff to Sweden, although he returned for a couple of friendlies. He made 176 appearances for Italy — a European record — and was voted Serie A's goalkeeper of the year 12 times. Buffon's arrival may mean the end of goalkeeper Alphonse Areola's PSG career. Kevin Trapp, the No. 2 this season, also appears likely to be sold by new coach Thomas Tuchel. Buffon will miss his new club's first three matches in the 2018-19 Champions League, after being suspended for his red card in this season's quarterfinal defeat against Real Madrid and for comments about the referee.